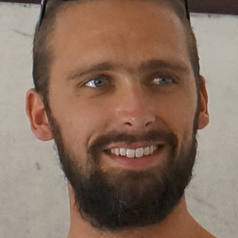 Originally a biology teacher in Belgium with a passion for the ocean, then a dive instructor in Southeast Asia. I arrived in Australia to work as a fieldwork assistant for the university of Queensland, which empowered me to pursue a career in marine science. After finishing an Honours degree at the University of Western Australia on the extinction risk of clownfishes I started a PhD at Curtin University. My PhD research focuses on the small, well camouflaged fishes that live on sandy bottoms.